Note: We don't normally write articles on actual gameplay related issues, but this was such a persistent problem while researching articles for Avorion, that we felt it deserved some attention. 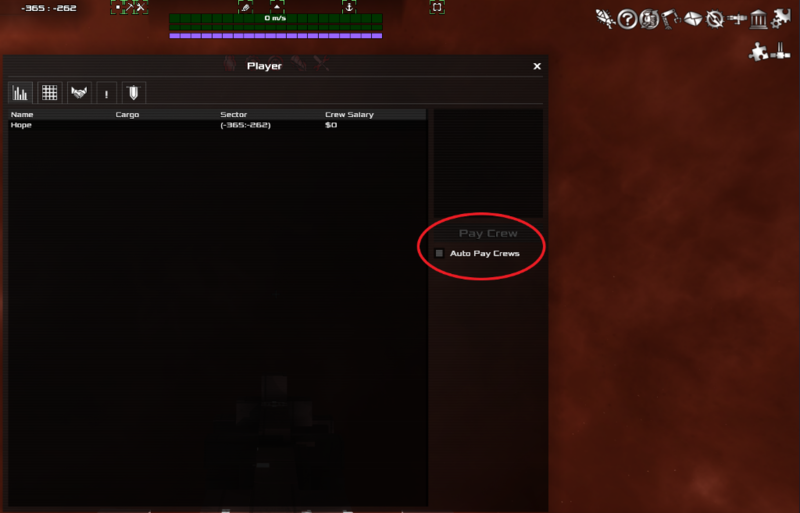 Sometimes while playing Avorion, you will suddenly see an alert pop up on your screen that looks like a red fist, and a message that your ship's morale is dropping. This is immediately followed by alerts for every department on your ship, that you are missing engineers, gunners, miners, etc. and performance in those areas is dropping. If you open up the ship menu, you see fractional crewmen (like how can you have 2.4 crewpeople??). The game rounds down, so when this pops up, you can't fire all your gun turrets, mining turrets, etc. And then suddenly everything is back to normal again… until it happens a minute later. And again, and again, and again. Eventually your crew will quit, and your ship won't be able to shoot turrets, mine, or fly at full speed anymore. You can restaff your ship, but the same thing will just happen again later on. No. It's not. You just have to pay your crew. If you don't pay them, they go on strike. The game has an option to autopay them which for some reason is normally turned off. You can turn the auto-pay on, but it's located in a fairly obscure place. Instead of the same menu where you assign crew to positions on the ship menu, it's located in the player menu. Click on the icon shaped like a greek building in the upper right corner, or press I on your keyboard to open the player menu. And there you are. Click the black square to the left of Auto Pay Crews. A grey square will appear to indicate it's turned on, and you will no longer see that constant message about morale dropping. Well, as long as you have money to keep paying your crew. Get out there and mine those asteroids!